Once upon a time in the not-too-distant past, getting an email or a weather forecast popping up on a smartphone felt like magic—but now the technological novelty of these alerts has worn off. We’re growing sick of the constant interruptions. Mobile notifications are undoubtedly useful, but you need to make them smart. Unfortunately there’s no instant fix to make your notifications as smart as you are. Instead you’ll need to set aside a little time and fiddle with your phone on your lunch break or while watching TV. If you do take the time these are the best ways to move all the garbage off your notification screen and get all the crucial information back on it. You’re probably too busy to have actually looked at the notification settings inside your apps, but it’s worth taking a few minutes to do so, as they’re much more customizable than you might expect. Facebook, for example, lets you turn notifications on or off for tags, comments on posts, friend requests, group posts and more. You can do this through the mobile apps or from the web. Or take Gmail for Android, which lets you turn alerts on or off for each of the labels you’ve set up, plus the ones Gmail applies automatically—so you can enable notifications for “priority” messages and nothing else, or if you want to get really organized, set up a label and a filter for a specific sender and turn on alerts for this label alone. On Gmail for iOS you don’t get label control, but you can limit alerts to priority emails only. 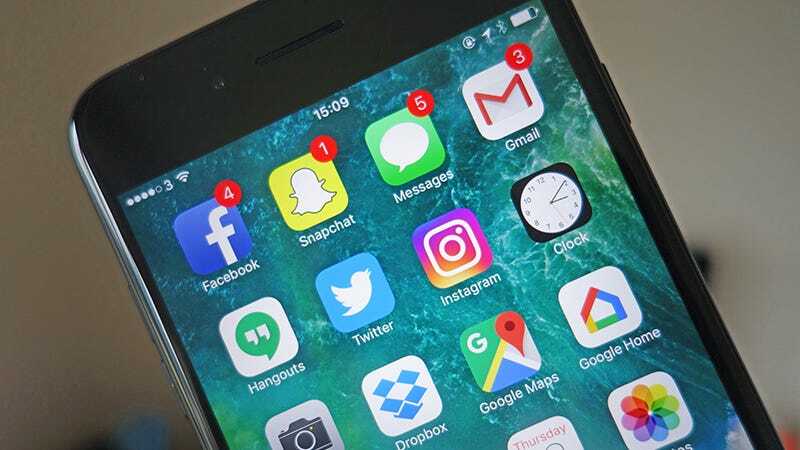 We won’t go through every app you might have on your phone but most let you tweak notifications in some way to cut down on the constant bombardment you’re getting from your mobile device. What’s more, some apps can be customized to only show alerts for very specific events. One example is Instagram—open up the profile page of any of your friends, tap the settings button (three dots on Android, a cog on iOS), and you can turn on push notifications for that friend alone. Conversely, on Facebook, you can add your favorite people to your Close Friends list to make sure you always know what they’re up to. You get a bunch of broader options across Android and iOS too—Google and Apple feel the pain of your notification overload and seem to want to help. Head to the Notifications menu from Settings on both Android and iOS to enable or disable push notifications from particular apps, and to change how those alerts are shown. If you really can’t live without your notifications, both Android and iOS let you display them quietly without a sound or a buzz, or hide them from the lock screen, so they’ll mount up on the status bar at the top of the display until you’re ready to deal with them. It means you don’t miss anything, but you don’t get interrupted as often. Another option is to disable notifications for some apps, but add them as widgets (on the home screen on Android or the Notification Center on iOS). Both Google and Apple have added Do Not Disturb modes to their mobile OSes too, which is another way of cutting down on interruptions—it’s on the main Settings menu in iOS and behind the Sound heading in Settings on Android. Alerts still appear, but your phone won’t buzz or ring out. For a more drastic approach, there’s always airplane mode to block all alerts and notifications until you’re ready to check them—which is actually one of the best ways to deal with a busy inbox, according to science. Meanwhile, you might want to consider cutting down the apps on your phone to the very basics, and leaving the email and social media checking until you’re actually at a computer. We’ve lost count of the number of times we’ve mentioned IFTTT (If This Then That) on Field Guide, but another of the ways the service can come in handy is in creating custom alerts. It will take some time to set up, but with the IFTTT app for iOS or Android you can get alerts on just about anything you like, from tweet from specific accounts to a bad weather forecast. In other words, disable your normal notification systems and switch over to IFTTT instead, making custom alerts for the events you care about. The service can dig deep into sports scores, social media, email apps, news services and more besides, so you can create a notification system that’s just as comprehensive but a bit more curated. Another service worth a mention is Pushbullet, which spreads your notifications out across your computers and the web as well as your mobile devices. At first that sounds like it’s compounding the problem, but in practice it actually makes it easier to manage and dismiss the number of alerts you’re getting, and means you’re not always checking your phone every two minutes. Meanwhile, Pushover works along similar lines, and again supports Android and iOS. You can customize the alerts you get from your favorite apps, set the times that they’re allowed to appear, and check notifications from your laptop or desktop too. As an added bonus it works with IFTTT, if you want to create a super-advanced notification system tailored to your every need.